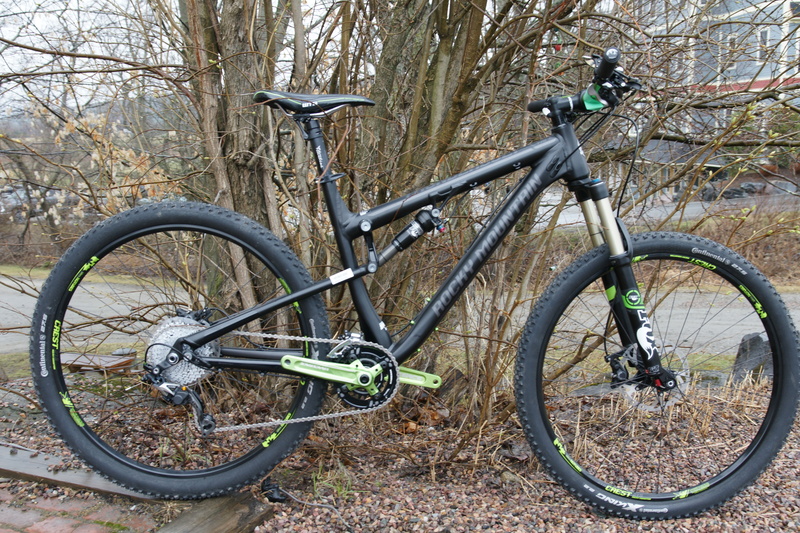 Why is this Intense Tracer2 the bike of the week? Because it is the coolest ‘kids’ bike on the trails. 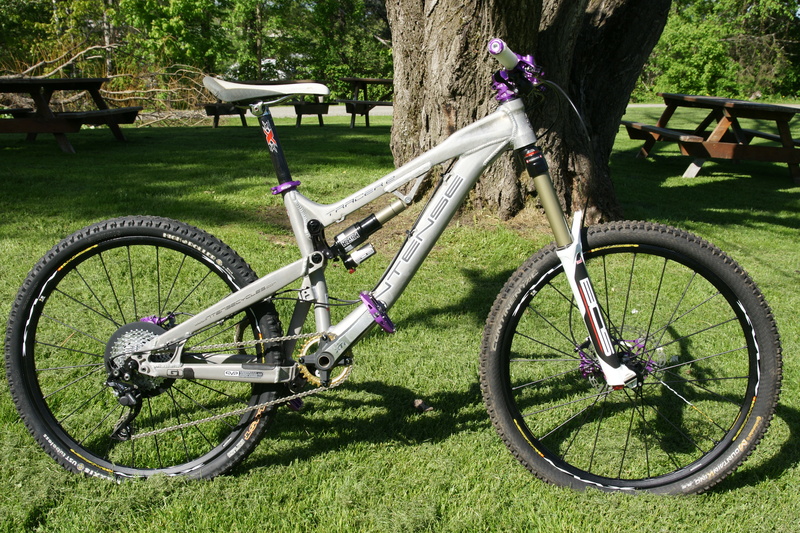 Built for a local young (12 year old) ripper, this bike is really well sorted with some pretty exotic parts. The stand out feature is obviously all of the purple anodized Hope Technology parts, the boys from Barnoldswick England know how to build beautifully machined parts from aluminum, they should, they got started machining parts for Rolls Royce. 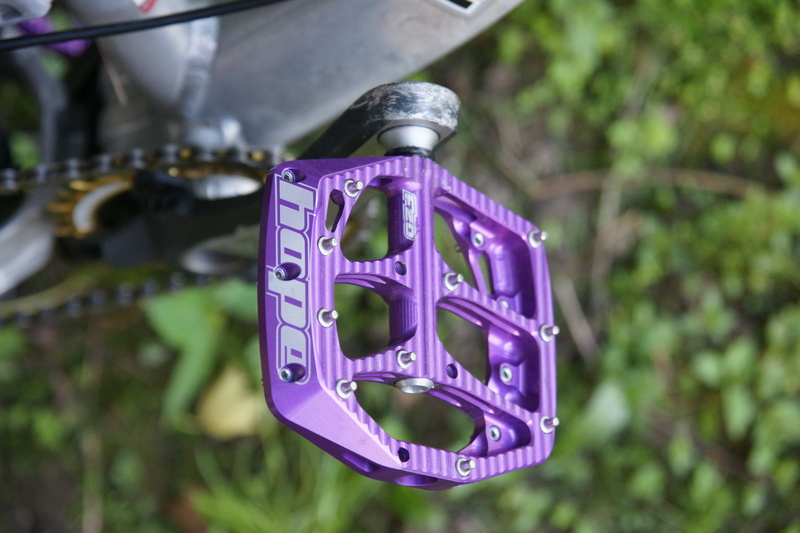 They aren’t just pretty, however, they are built to withstand the harsh British mtb bike climate. They know how to seal out mud and water and keep bearings running smoothly. The next thing to notice would be the BOS suspension, a Deville fork and a Kirk rear shock. not something you see very often in North America, but they have more than 20 Mtb championships, four Paris-Dakar wins, a Rally World Championship and a Formula 3 World Championship to their name, trust us, BOS knows how to build shock absorbers. The rest of the bike is built with a Shimano drivetrain and Mavic Crossmax wheels. Is this the most pimped-out kids bike on the black? We think it just might be. Why it’s cool- The T275c is cool because it is Intense cycles latest super bike, making it the best all-around mountain bike that they have ever produced. This bike sports 160mm of travel front and rear and weighs in at 27 pounds. 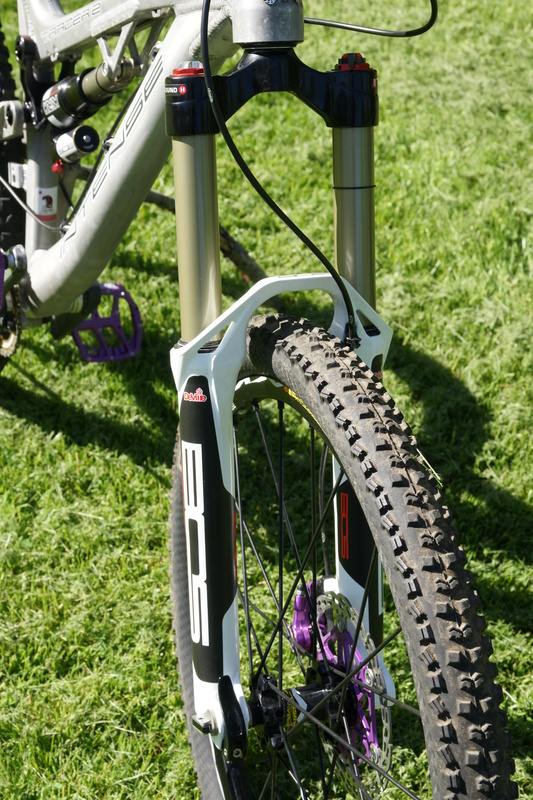 It can climb uphill with any other bike made then leave them in the dust on the downhill. It is made completely from carbon fiber with machined aluminum VPP2 linkages. 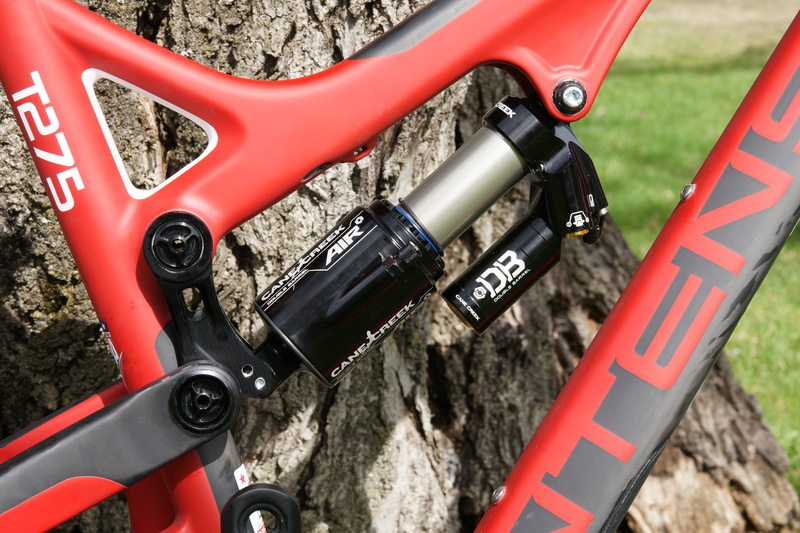 This particular bike is Intense’s Pro Build, a SRAM X01 drivetrain, a RockShox Pike fork and it has the cane creek DBAir rear shock upgrade. We have also upgraded the stock wheels to an Industry9 Enduro wheelset. The photo doesn’t show it, but the bike has a RS Reverb Stealth dropper seatpost. Yes, this is a premium bike at a premium price, there is no doubting that. The question is- is it worth the price? We think that it is. They haven’t skimped on the components anywhere on any of these three builds. They’ve used the best performance parts available to them. You don’t see a mixture of SRAM and Shimano components very often on the same bike, but Intense has stepped out and chosen to run Shimano brakes instead of Avid because they feel they just work better, they’ve chosen to run SRAM 1×11 drivetrains (on the factory and Pro builds) for the simplicity. We really like that. Who is this bike built for? If your idea of a great ride is blasting every trail at Perry Hill at ‘full pace’ both up the hill and down, I can’t think of a better bike. Check in with Skiershop mechanic and bike guru, Dave Clifford, to get your gears shifting smooth as buttah! Welcome back to ‘Bike of the Week’ for 2014! I hope everyone enjoyed the winter, but it’s time to start thinking about bicycles. 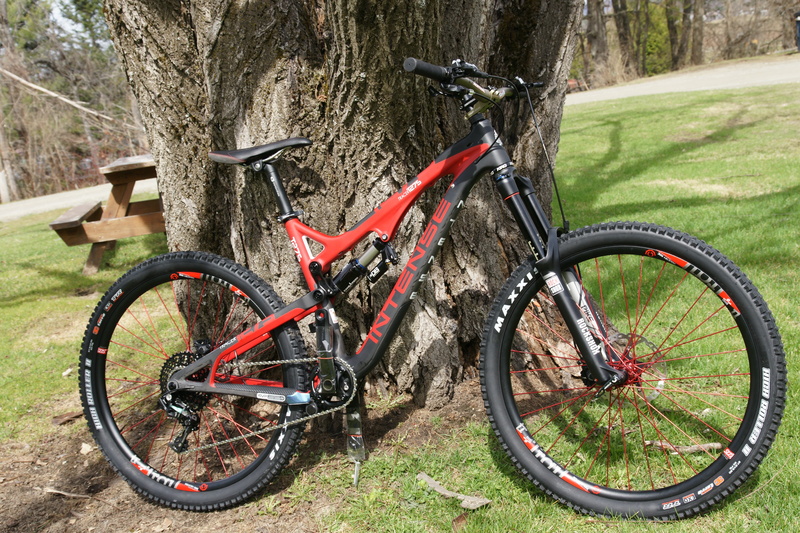 The inaugural bike for 2014 is a new model from Rocky Mountain Bikes, the Thunderbolt 770. Why is it cool? It’s a 120mm travel trail bike that mixes some of the DNA from Rocky’s Altitude series of bikes with the DNA of an XC race bike. It sports 27.5″ wheels, a Rockshox dropper post, wide handlebars and some grippy Continental tires. 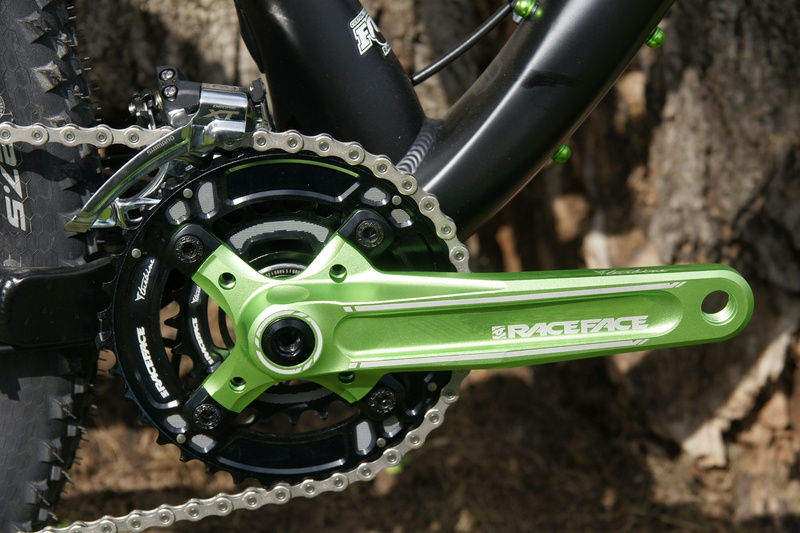 Not to mention those sweet green anodized Race Face bits. 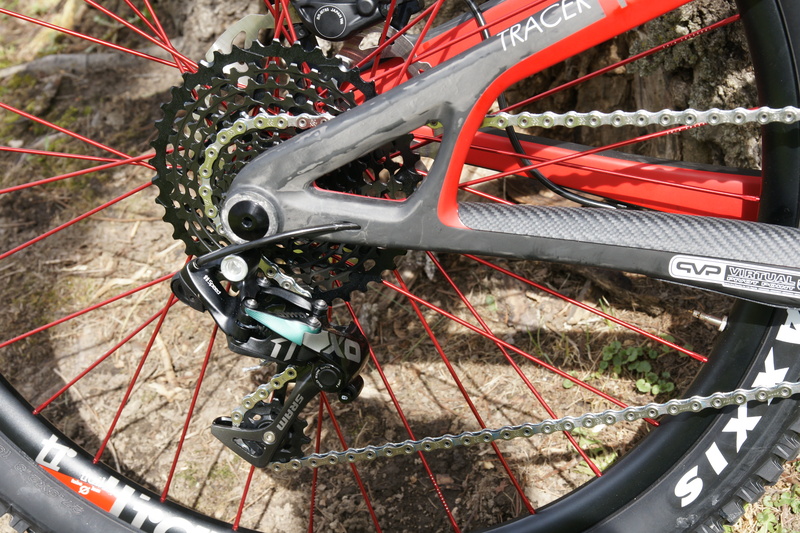 Race face cranks propel the XTR/XT 2×10 drivetrain. Shimano’s dual ring set-up works amazingly well, I understand the move to 1×11 or 1×10 drivetrains, but sometimes it’s nice to know you have a full range of gears for those long days in the saddle… or climbing Perry Hill. 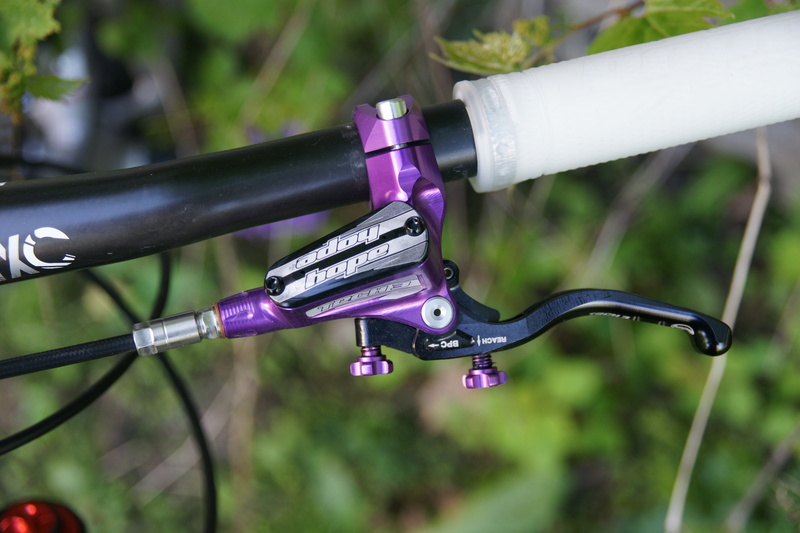 Race face bars sporting Shimano XT shifter, brakes and the handlebar mounted Fox CTD controls. 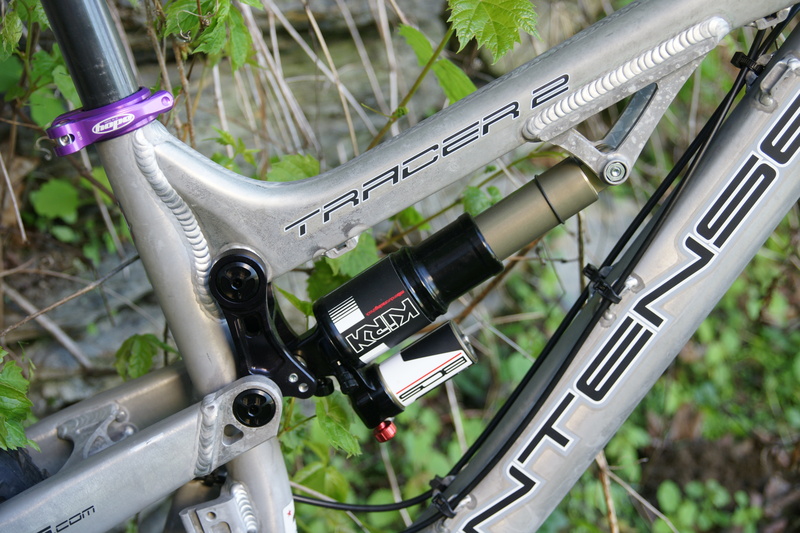 Suspension is handled by Fox, with 120mm of travel front and rear, the rear shock’s CTD functions via a handlebar mounted remote, the front also features the CTD function along with a 15mm through axle and tapered steerer tube, both add some serious stiffness to the Thunderbolt’s front end. The Thunderbolt sports a subdued paint job which is high lighted by the green anodized bits from Race Face. In the motorcycle world, when a manufacturer takes a sports bike and removes the fairings they call it a ‘hooligan bike’, the Rocky Mountain Thunderbolt is the the pedal-powered equivalent. An XC bike that has been tuned for FUN. Following the incredible success of the new Rocky Mountain Altitude MSL in its first year on the market, Rocky Mountain has decided to tweak the bike slightly to add a new version, the Rally. Inspired by the increasing popularity of Enduro racing, the Altitude Rally features a longer travel front fork, DH width handlebars, a 1×10 drivetrain, and burlier wheels. The bike is available in two very different specs and price points. 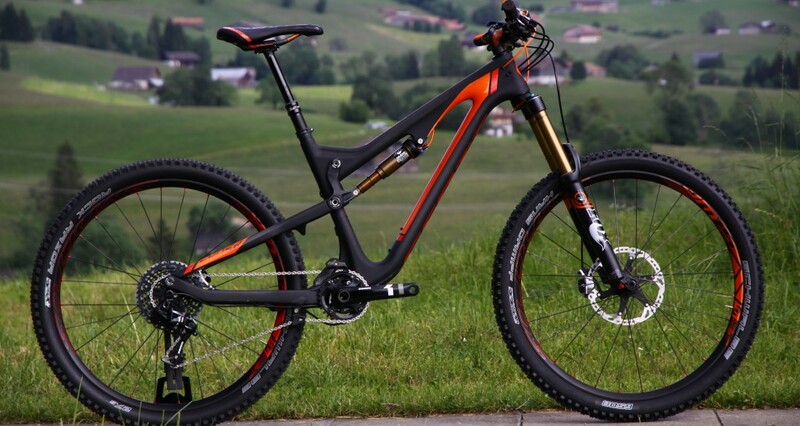 The Altitude 770 MSL Rally is a carbon/aluminum beauty equipped with top of the line Fox suspension, high end Race Face and SRAM bits, and wheels with ever popular Stans ZTR Flow EX tubless rims. You’d be hard pressed to find something on the bike worth replacing, unless your looking for the absolute best of the best in your drive train. Those of us at Skiershop and Bike Stowe would likely take it out of the box and ride it as is. If you’re looking to be nicer to your wallet and bank account Rocky Mountain is offering the bike in a full aluminum version that still boasts very respectable specs, the Altitude 750 Rally Edition. Dropping the carbon fiber, kashima coated suspension, and a slight downgrade in components, also drops over $2000 off the price, a reasonable $3,299.99. The bike, just like it’s fancy carbon brother, comes ready to ride straight out of the box. At this price point you’d be a bit foolish to drop another $1000 on a wheel upgrade. The point I’m trying to make is this bike is so well spec’d at the price, if you want more, just get the 770 MSL. The Rocky Mountain Altitude 750 Rally Edition is a head turning, high performing bike with a price tag just barely over $3000. The Altitude Rally Edition is not all that’s new from Rocky Mountain. 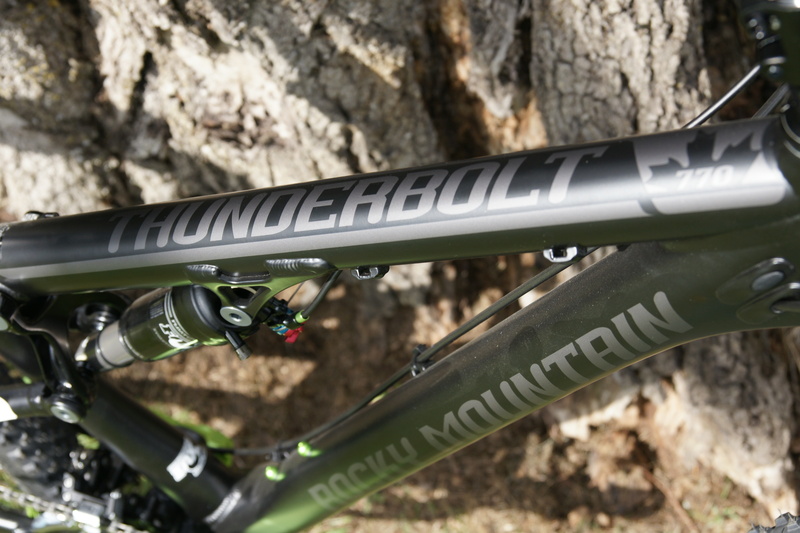 Rocky Mountain aficionados may remember the Thunderbolt, and now it’s back in a completely new design. It’s geared towards playful XC riding with 120mm of travel, 27.5 wheels, and classic Rocky Mountain geometry. We can’t wait to see what Thomas is so psyched about for ourselves. And with prices ranging from just over $2000 to $3,999, it’s a very attainable bike. We’ll provide a more extensive review on both the Altitude Rally Edition and the Thunderbolt once we have a chance to put them in the dirt! Scott Sports has almost completely revamped their lineup of bikes for 2014. 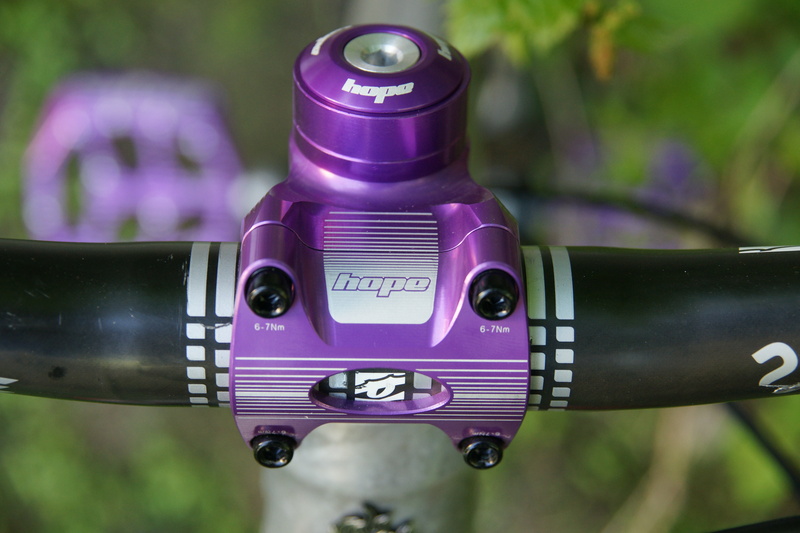 Most significant is the addition of optional 650b (27.5) wheels to almost all of their existing models. Scott is offering the Spark, Scale, Genius, and Genius LT in both 27.5 and 29 versions. 26 inch wheels are only found on Scott’s downhill and dirt jump frames, the Gambler and Voltage. Scott is obviously positioning themselves as a “big wheel” bike company, but that doesn’t mean it’s all XC style 29ers. Take the new Genius LT for example: Scott’s new enduro bike blends 27.5″ wheels with a carbon frame featuring 170mm of travel. Following the success of 650b wheels across the board this summer, Scott has taken the wheel size and applied it in a way not many other companies have been able to accomplish. We’re starting to see long travel carbon 650b bikes more often, but none have drawn our attention like this one. Early ride reports have shown rave reviews of the new bike. As soon as we can get our hands on one we’ll give you a full low down on how it rides. In the meantime, check out the video, read up on this awesome bike, and wait patiently until you can get your hands on one! As of the beginning of August all of our demo and rental mountain and road bikes are now ON SALE! The past two weekends we offered free tests rides of our entire fleet as well as heavily discounted prices. The weekend’s over, but lucky for you the prices are here to stay! You still have time to stop by the shop and find your next bike. Our demo bikes are professionally maintained and ride just as well as a brand new bike. You’ll save money while resting assured your bike has been set up, maintained, and cared for by professional mechanics. Here’s a list of some of our remaining demo bikes with their corresponding sale prices. Don’t see the bike you’d like? Give us a call! This isn’t our entire inventory, and who knows, we may have your dream ride tucked away somewhere! Stop on by the shop to see what we have left in stock for sizes! We also have great prices on all our remaining NEW bikes, as well as new and rental road bikes and rec path cruisers! Now is the perfect time to pick up your new ride. As usual, this Friday we’ll be heading out for our weekly group MTB ride. If you’d like to test out one of our demo bikes before buying, this is the best opportunity to do so. We’ll make sure it’s set up well for your first trial ride, and we more often than not have a mechanic on the trail with us for on the fly adjustments, advice, etc. We hope to see you on Friday!